Who doesn't like magic items? This is a compliation of previously-published ones, with quite a few brand new ones as well. 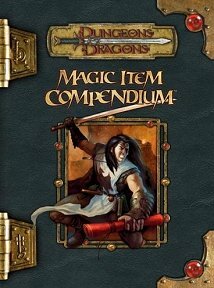 Publisher's blurb: "This supplement for the Dungeons & Dragons game presents over 500 new magic items, including affordable items that no adventurer should be without, as well as more than 750 of the best magic items from previously published D&D game supplements and campaign settings, Dragon magazine articles, and articles posted on the Wizards of the Coast website. "Each magic item is presented and catalogued in a new, easy-to-reference format that includes a read-aloud text description of the item."